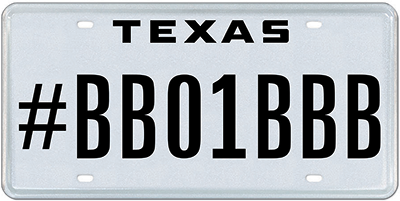 Welcome to the Hashtag White specialty license plate registration page. By completing the form below, you are consenting to the use of your name and email for the purposes of receiving email updates from the friendly My Plates team regarding this plate and other plate news. Yes, you may use auto-dialing technology to call me at this number. No, you may not use auto-dialing technology to call me at this number. Yes, I'm interested in purchasing the plate when it is approved for release. Submit For any questions please contact My Plates by email Customerservice@myplates.com or phone (888) 769-7528.